I’m on the hunt for the perfect denim jacket, a must have for the summer months (despite the current UK weather) and also the perfect pair of slightly distressed jeans with a fit that is not quite boyfriend and not quite skinny. Enter the Pamela Love x J. Crew collaboration. Whilst slightly old news, these are two of my favourite brands who have created my ideal denim-based collection. Stuff that my dreams are made of… quite literally. These trainers don’t really require many words. 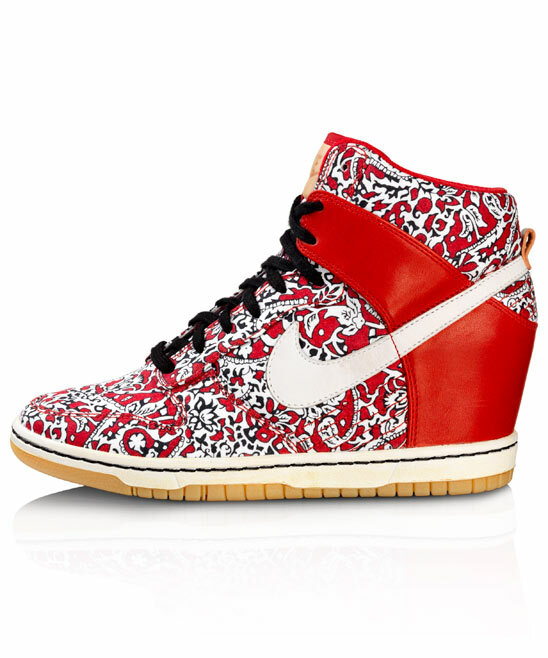 The high top Dunks with concealed wedge are from the latest Nike collection for Liberty and have been remixed with the Lagos Laurel Liberty Print, a 21st century take on Liberty’s trademark traditional paisley prints. The print first appeared in the 1940s but has been refreshed for Nike with the addition of a laurel wreath motif. Move over Isabel Marant, this is how us Brits do it. The first ad for the upcoming H&M collaboration with Marni has surfaced featuring British actress Imogen Poots. Likely to be shot in Marrakesh where the Sofia Coppola shot the campaign video, Imogen is lounging in a leopard-print filled room wearing a shiny paisley ensemble. The collection drops in stores on March 8th and I cannot wait. I have not been that excited about an H&M collaboration for a while. I mean, the collection curated by 10 magazine editor Sophia Neophitou-Apostolou, piqued my interest and Versace completely passed me by. Today that has all changed. H&M has announced they will be collaborating with Marni’s founder Consuelo Castiglioni to create a Spring collection which will hit stores on March 8th, 2012. This is most definitely more my style. I imagine that the accessories with be amazing, in particular the jewellery and perfect summer sandals. It’s is obvious from the preview video (below), Consuelo will deliver her signature bold prints in classic shapes that suit anyone. The date is in my diary and this may be the first exception to my ‘I’ll never camp outside a shop for clothes’ rule. There is not much that needs to be said about this collaboration except that it’s AMAZING. I met David Koma (of Cheryl Cole fame) at London Fashion Week (a couple of seasons ago) – such a small man but with immense talent and I love that he is bringing a taste of what he does so well to the masses. The catch – only five designs and thirty available of each. The designs, ranging from £100 and £350, are available from February 16. Now this is one I hope doesn’t make it onto eBay. 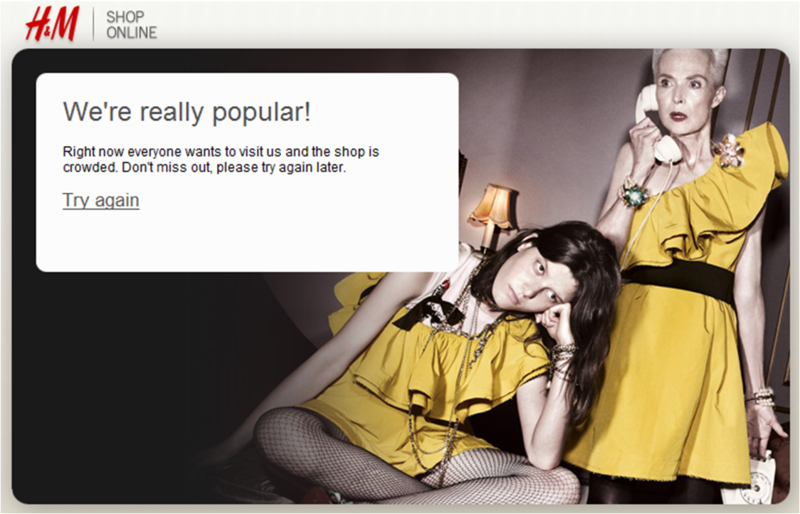 Oh well… looks like I won’t be getting any Lanvin x H&M. I don’t believe in queuing for clothes so this is it for me! Hope all of you who wanted pieces from the collection are having better luck than me!